Have you joined a bunch of Facebook Groups? Do you use them? I want to show you how to organize ALL your Facebook groups for Bloggers! There are some pretty amazing groups out there, but the way Facebook is set up, you’ll never really see them in your feed or be notified when there is a post, so I’ve figured out a way to not only organize your groups but to also create a schedule for when you can post to them! If you’re anything like me, you’re a member of a pretty significant number of Facebook groups. But are you using them to their full potential? 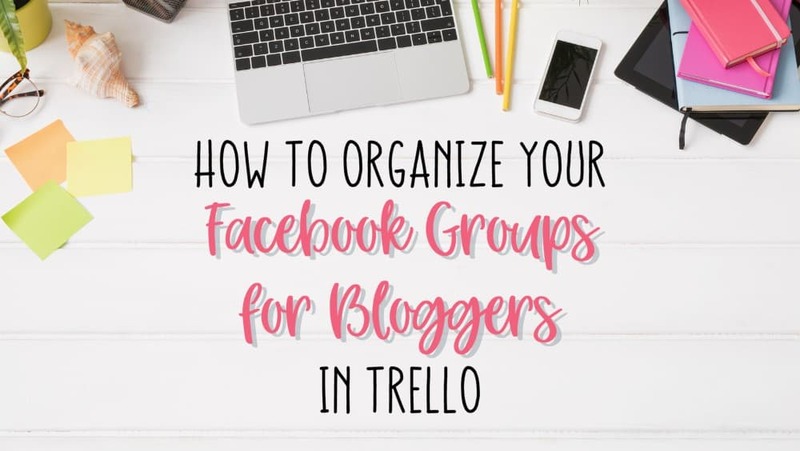 I want to show you how to use Trello to organize, sort through and then create a manageable schedule of all your Facebook groups. Because let’s be real, they all serve a purpose. And if you’ve joined them then you don’t want them sitting on the hypothetical shelf. As you’re sorting through, if you find a group that you joined but isn’t relevant to you anymore, go ahead and leave. Take that extra weight off and move on. These are the labels I have used on my Facebook Groups board. You, of course, can name yours whatever seems right for you. Want to Join the BEST Facebook Groups? To make the most out of your Facebook Groups you do not want to miss my free email course! Sign up below!